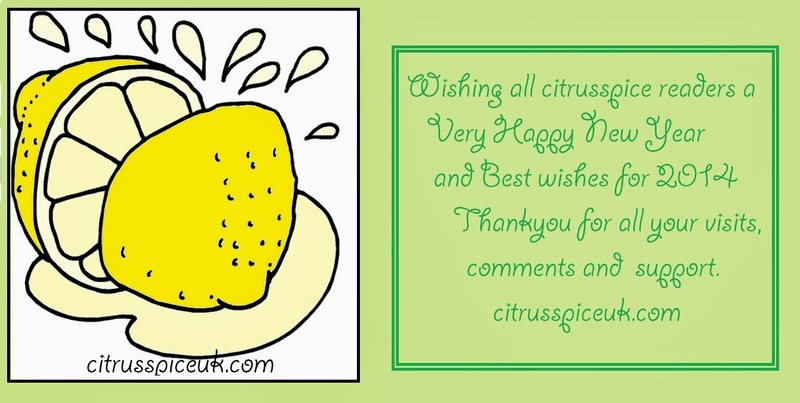 Thankyou to each and every one of you who has been part of citrusspice and all things nice I really appreciate your support and I humbly request that you continue to drop by, comment, inspire and motivate me.I look forward to all your visits which give me great inspiration to nurture and grow citrusspice to bring you some more anecdotes, interesting and informative posts throughout 2014. 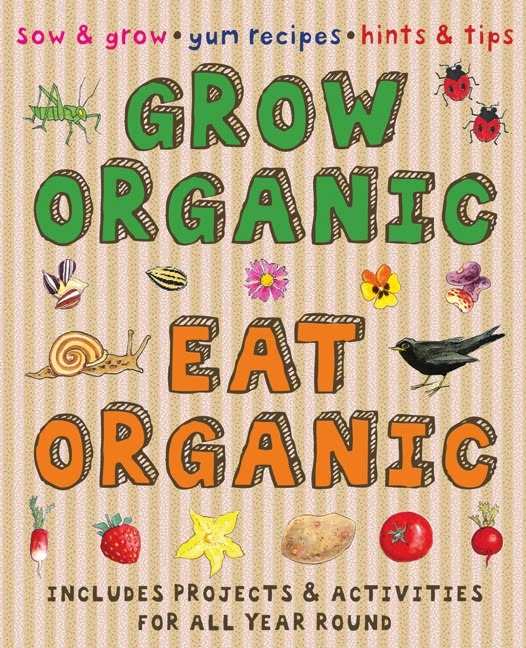 The prize is a Grow Organic Eat Organic containing an assortment project and activities about sowing and growing veg that you can do with little children. 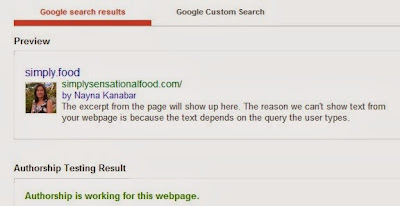 Setting up Google Authorship is very important for your site to attract more visitors. It also allows your site to get a better position in search engine. Google has provided writers a way to verify to readers that the content is unique, valid, and yours. Create a google plus profile and fill in all the relevant details on your profile page, add a headshot photo of yourself to your profile. Save the page and make a note of the Google plus profile url with the long number in it. You will need to add this in Step 2. 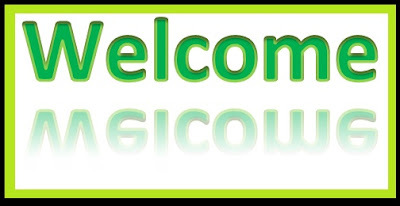 In your about me page, start with an opening sentence that says: My name is “add your name here” I am the author of “your blog name here"
Add this link to your name once you have added your details in the where the red script is. Link your blog url to your blog name in the sentence. Go to your google plus page and open the page, click on about. 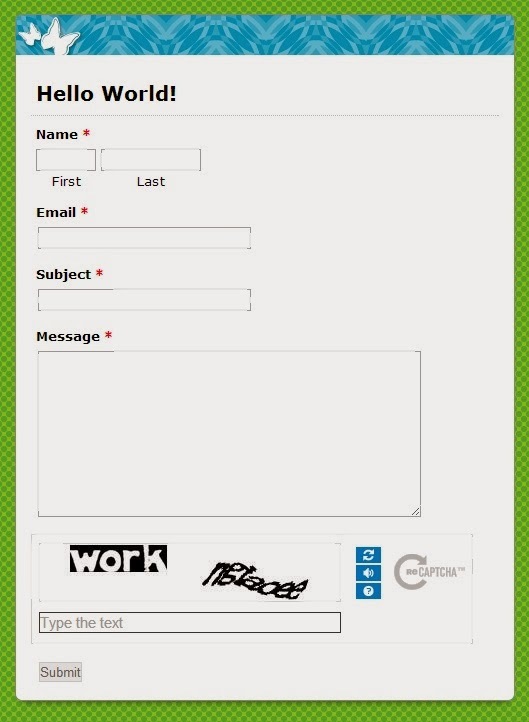 You can add url of any other websites you write for. Make sure you hit save after adding all this info. Click on this link and verify your email address, this email address should be the same for googleplus and your blog login. Now go back to google plus page about page and you will see your email address will appear in the contact information with a tick next to it. 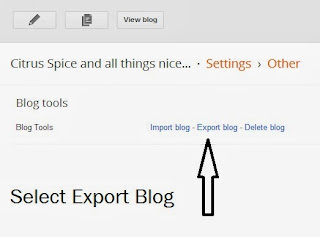 Type your blog url in the box and check if authorship has worked. Google authorship can take anything up to three months to start working. Launching my 1st set of Vegetarian cook books and a giveaway. 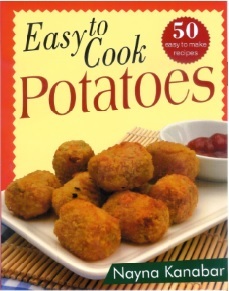 I am so proud that my two vegetarian cook books Easy to cook Snacks and Easy to cook Potatoes are finally ready and available to purchase. 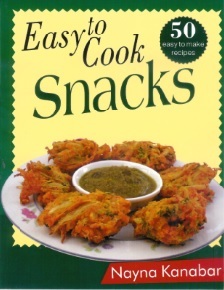 Both books offer a selection of vegetarian multinational cuisines and are all accompanied with colourful photography and easy step by step recipe instructions.They are neat and compact lightweight so perfect for your kitchen shelf ready at hand when you need that simple recipe idea. Both books are perfect for young students living away from home who want a taste of home cooking that is easy and quick to make. Link Within is a blog widget that links related stories from your blog archive. It helps to increase page views and keeps the reader engaged allowing you to retrieve archived posts and present them to your readers with the new posts. Here are simple instructions on how to add Link Within to your blog. 2. Open the Blog you want to use add Link within to. 3. In another tab open www.linkwithin.com. 4. 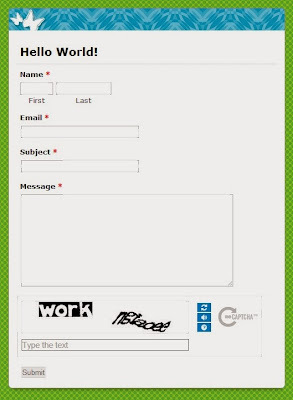 On the Link within page enter your email-id, your blog URL and then your blog platform. 5. Next select the number of links of posts you want to show. 7. Then on install widget page click install widget in the first line. 8. Select your blog name and click Add Widget. 9. 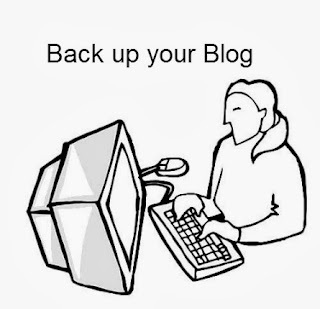 You will be redirected to your blog , make sure you are logged into your blog. 10.In layout you will find Link within widget included automatically. 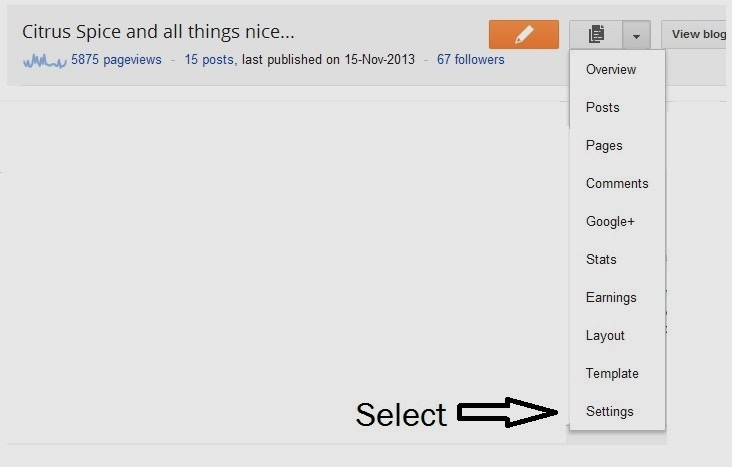 11.Drag the widget to the bottom of your blog post on the layout .This will give it the best exposure. 12. Save layout and refresh blog. How to add a Facebook Page Like box on your Blogger blog. 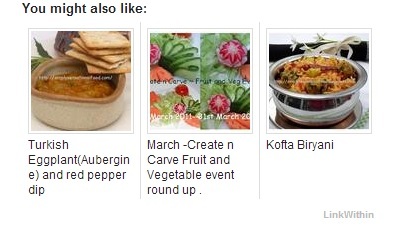 I am sure that most bloggers who have a blog also have a Facebook page where they share their blog posts on Facebook. Wouldn't it be great if you are able to have a simple and easy way for your blog readers to LIKE your Facebook page without leaving your site? 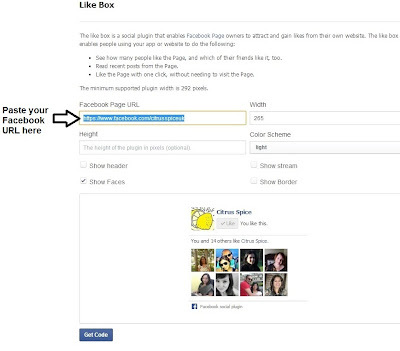 Here is a very simple way to add your Facebook page to your blogger blog. 1.Make sure you have a Facebook page, if you don't you need to create one before you start. 3. Go to your Facebook developers page. 5. Next customise your width and height. 6. Check boxes for show header, show stream, show border, show faces. (Customise this to suit your taste by selecting or de selecting the boxes.As you select you will see your widget change, once you are happy with the size and customization. Click on get code. 8. Select I frame and copy the code. 9. 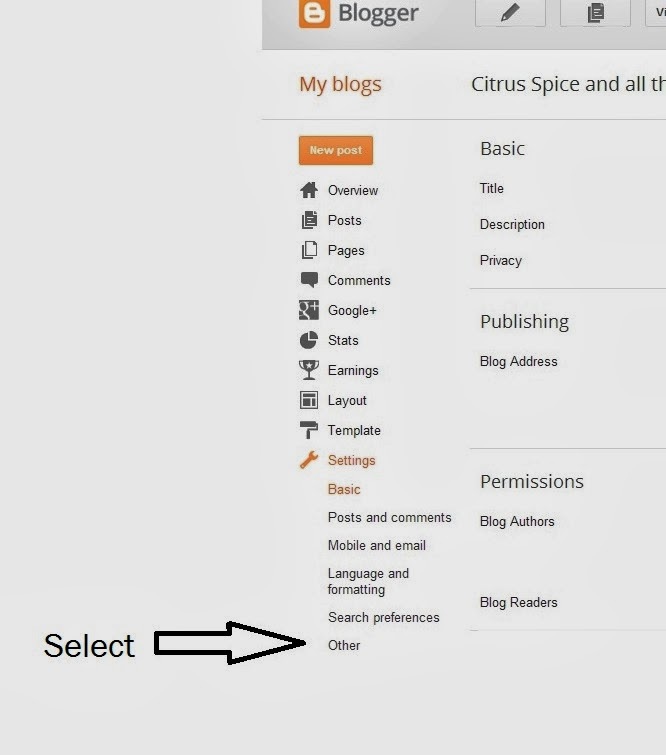 Log into your Blogger blog and go to layout. 12. Paste the code you have copied from Step 8 into the gadget and click on save. 13.Reposition the gadget to the required position on your sidebar layout by dragging it up or down. 14. Save layout and view blog. You can also watch a video of how to do this here. I love cooking and my new obsession is collecting props for food photos.From plates to cups to bowls. I have so many odds and ends of mismatched crockery that is overflowing in my cupboards all purely for food photography. 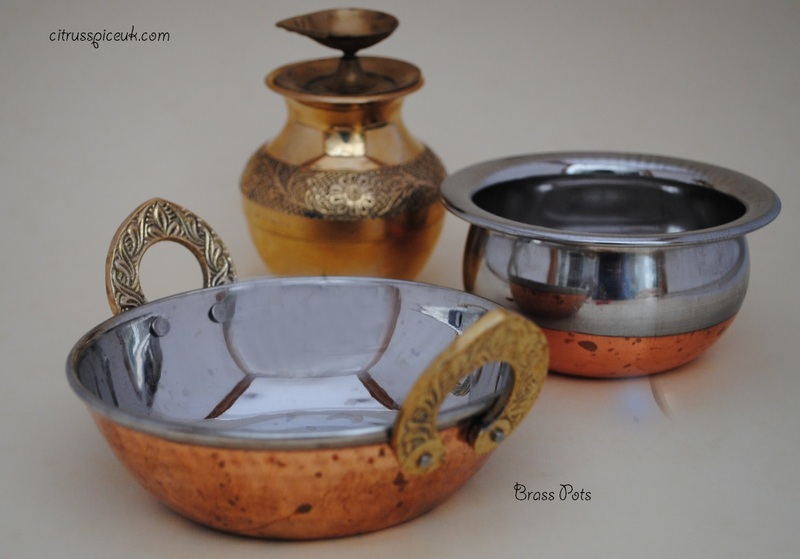 But one thing that I really wanted was to find some brass, copper and authentic props for my asian dishes. 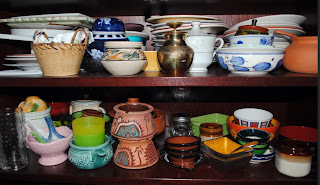 On a recent trip to India, hubby asked me what I wanted him to bring me back.He was most surprised when instead of a beautiful designer saree I asked him to bring me some pots.He was rather amused but said he would try. 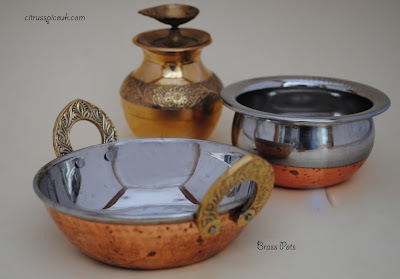 These pretty sets of pots were what he brought me together with this pretty kadai ( brass pot with handles) aren't they lovely? But my prop obsession did not end there, I now wanted some brass spoons to add to the collection. I searched high and low, asked friends and family if they had odd cutlery they no longer wanted. 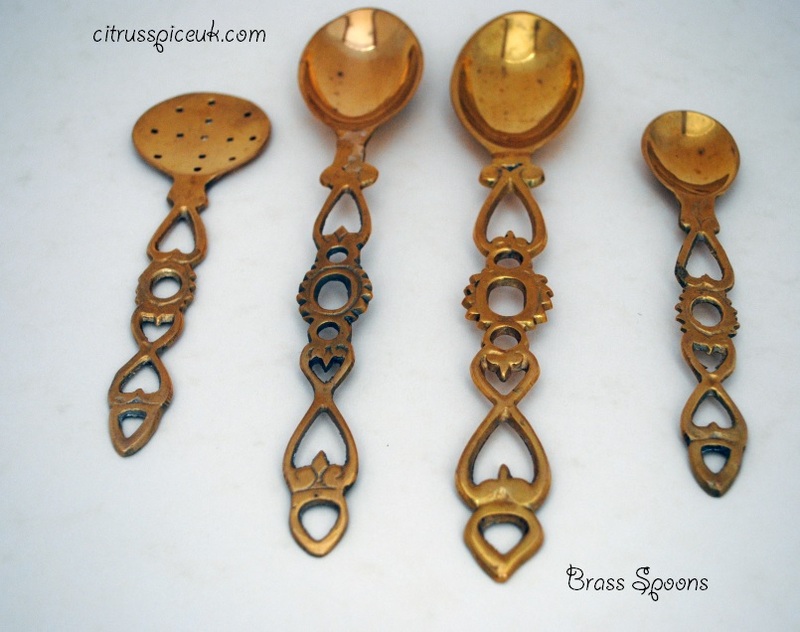 I even tried charity shops and antique shops but to my dismay I could not find any things.Disheartened I thought to google brass spoons and to my excitement I saw a link come up for ebay, yes someone had some brass spoons that they wanted to sell. I was so excited to open the link. Now I have never shopped on ebay before so the experience was very new to me. When I saw the spoons I immediately fell in love with them and further more they were reasonably priced too infact too reasonable. I immediately clicked the button to order them but lo and behold a message came up saying you have been out bid. Wondering what this was I soon realised that the price I saw was a starting price and I needed to place a bid to buy them. Frantically I placed bid after bid and each time I was out bid. I was getting quite upset and had conjured up a vision in my head that some foodie out there had conspired to stop me buying these spoons and was laughing in glee at me. Little did I realise that the spoons were being auctioned and a price reserve was set on it the highest bidder would get to buy them. Realising that my efforts were wasted and the spoons were never going to be mine I decided to give up on the purchase. That evening I narrated my woeful tale to my family, after being laughed at I found out that I could actually put the item on a watch list and bid on it nearer the closing time, this way there was more chance of securing the item. Feeling more optimistic this time I added the item to the watch list and forgot all about it. A few days later I had an email alert late one evening advising me that the sale of the spoons was to end soon. I logged back into the ebay account for one last time and saw that the spoons were still available however the price had increased to a lot more than the starting price. My prop obsession over ruled my sensible head and I clicked on the bid to make final bid, I did not even wait to see if the bid was accepted or not and immediately logged out. The next day whilst checking my emails I saw an email from ebay, it read congratulations on the purchase of your brass spoons. So finally after much ado I am the proud owner of this set of brass spoons, I had finally managed to out bid my imaginary foodie competitor on ebay. I have learned a lot about bidding on ebay for items now, but now I need to stay away from ebay in fear of finding another purchase and my prop obsession taking over again. Visit Crafts for Christmas and Hobbycrafts between 7-10 November at the NEC, Birmingham alongside Art Materials Live where you will find everything you need to make your Christmas extra special this year. Hundreds of exhibitors will be on hand offering a treasure trove of gifts and treats including beautiful jewellery, cuddly toys, board games, decorations and ceramics not usually found on the high street. To bring some festive cheer to your home, get crafting at the Prima ‘Make & Take’ Craft Theatre and take part in workshops and demonstrations throughout the day to create handmade Christmas decorations and treats. At Hobbycrafts, the award-winning creative crafts show, over 200 exhibitors bring the best of the creative craft world together. Stock up and discover all the latest innovations and supplies, speak to the exhibitors for their advice and ideas and take part in one of the many free Quick & Easy Workshops, Make & Take sessions, Talks and Demonstrations each day of the show. 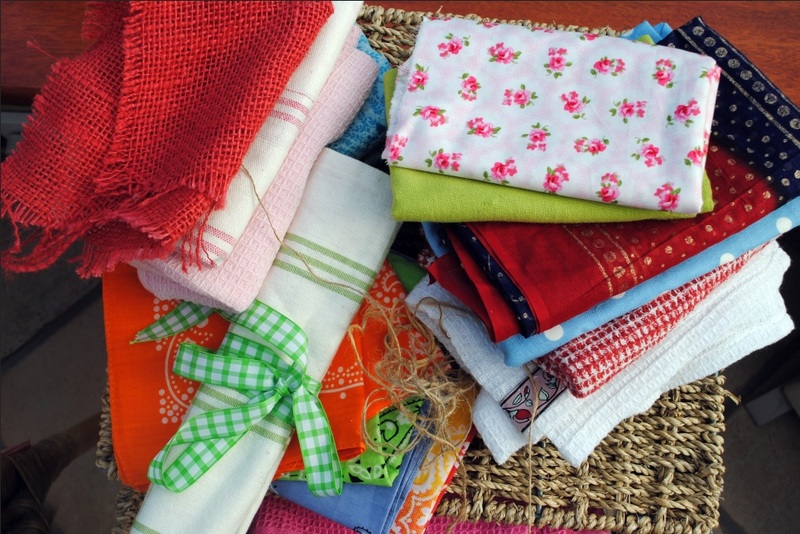 With everything from stamping, patchwork and quilting and cardmaking to papercraft, jewellery making and beading - you will find everything you need for your next crafty project. Inspire your artistic side at this year’s Art Materials Live (Birmingham only), the largest and liveliest show of its kind in the world. Leading professional artists will be offering the very latest art supplies, ideas and innovations as well as their top tips and advice for you to take home. Take part in one of the pre-bookable hands-on workshops organised by the Leisure Painter & The Artist Magazines, where you can learn to create landscapes, markets, animals and much more in a variety of media. With numerous free workshops and demonstrations taking place daily from some of the industry’s best known names along with some stunning displays to offer inspiration, you will be racing home to create your very own masterpiece. 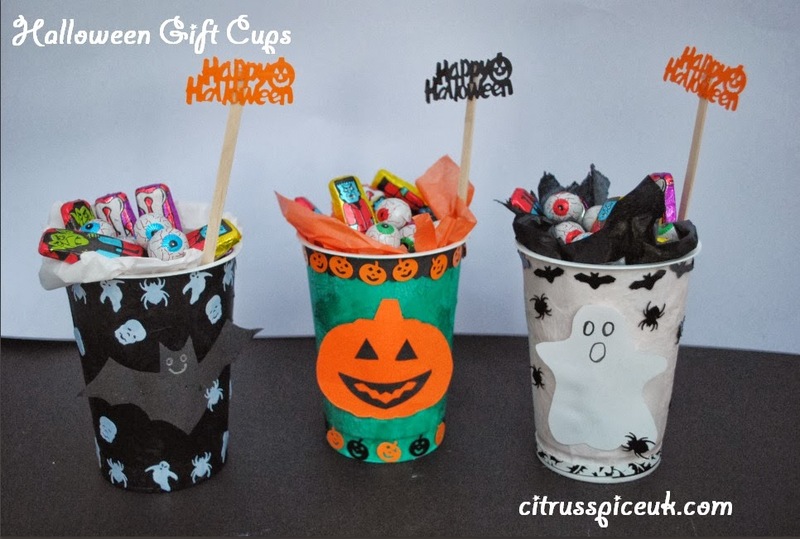 Citrus Spice has teamed up with Crafts for Christmas, Hobbycrafts & Art Materials Live to offer 5 lucky readers a chance to win a pair of tickets to this fantastic show. Taking place at the NEC, Birmingham from 7-10 November, visitors can spend a day in craft heaven exploring the latest ideas, supplies, competitions, demonstrations and workshops from the industry’s experts. 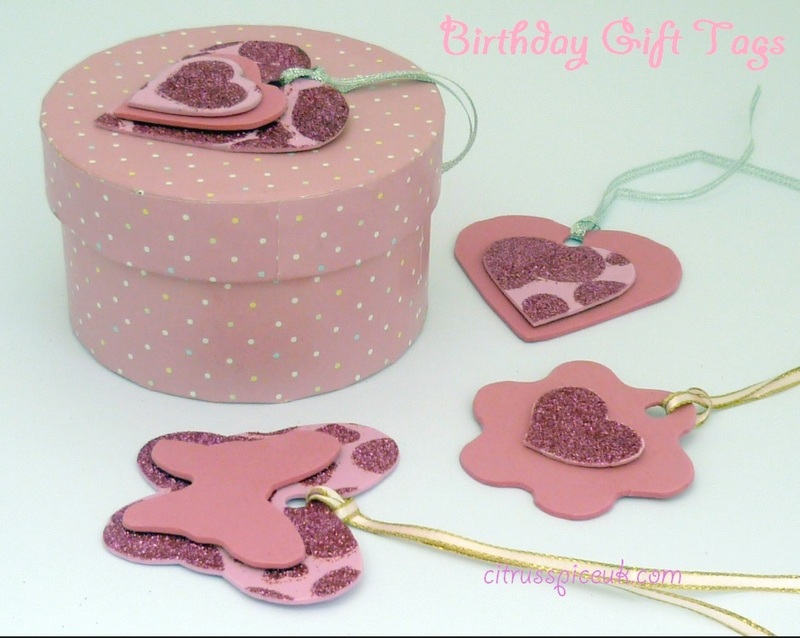 Beautifully home made and personalised birthday gift tags. 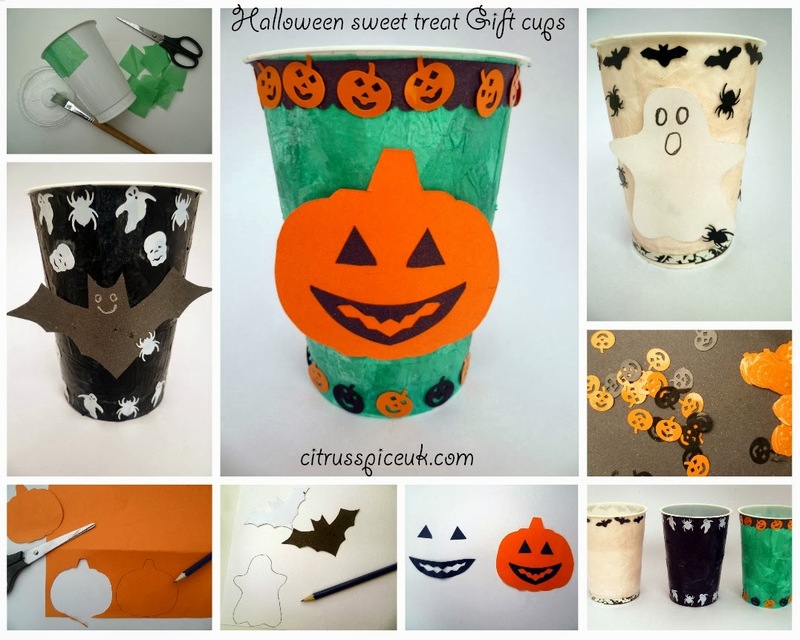 These are so easy to make that they would make a perfect rainy day activity for a child and parent. This is my first arts and craft video on U Tube, I hope all my readers enjoy it and you will get inspiration from it to create your own gift tags. Get more fans and followers for your social media profiles on Facebook, Twitter, and other popular social networks by adding follow buttons on your blog. 4. In the grey box select my profile and select your own profile in the drop down. 5. In the header section select a title you wish to give your buttons such as "Follow Us"
6. Select the design for your buttons from horizontal large, horizontal small, vertical large ,vertical small. 7.In the next section you can create as many buttons as you want, just fill in the individual URL's of all your social media sites you wish to create a buttons for. 8. You will be able to see a preview of the buttons you have created. 9. Once you have created all the buttons you require, click on grab the code. 12. Paste the code you have copied from Step 9 into the gadget and click on save. Celebrate Citrus Spice Launch - Giveaway Easy cake decorating book. I am very excited about the launch of this blog and am already planning lots of wonderful posts on a range of topics. I started blogging about 4 years ago and it seems along time since I designed my blog simply.food. Most of the widgets, codings and layouts I had forgotten how I had added them so for Citrus Spice it was back to the drawing board to try and redesign and style the blog. 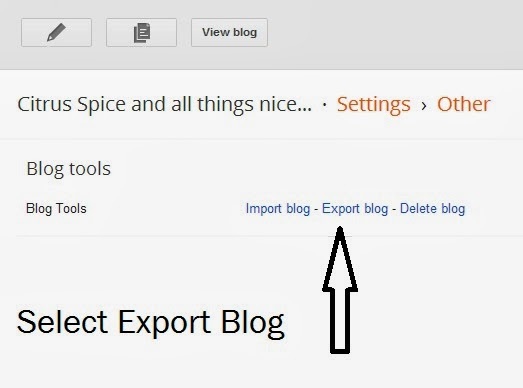 This time I thought it would be a good idea to actually create blog posts about the technical side of things, so I shall be sharing amongst other posts technical post on how to add widgets to your blogger blog. 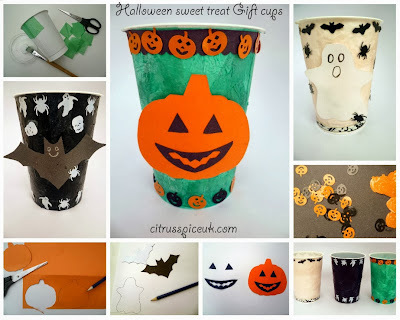 I am also planning a series of art and craft posts which I am going to aim at parents and children creating stuff together. Finally I will also be adding some posts about basic cake decorating techniques. I have attended a couple of cake decorating classes but mostly I have learnt techniques from books. 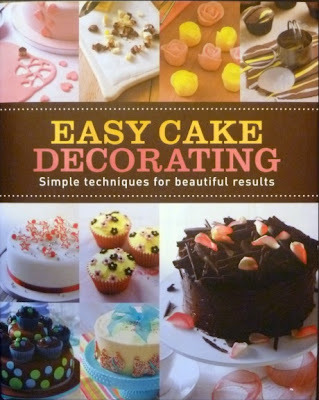 One book that I particularly like is "Easy cake decorating" by Parragon Books. It is beautifully illustrated with simple techniques and easy to follow instructions.To celebrate the launch of Citrus Spice and all things nice I am hosting a giveaway to win 1 copy of this lovely book. Closing date – 3rd October 2013 6.00pm . My first blog post ~The Introduction. 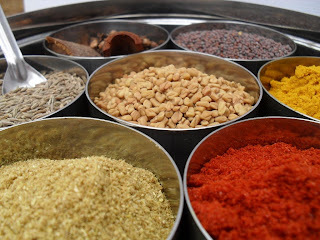 This is my first blog post at Citrus Spice. 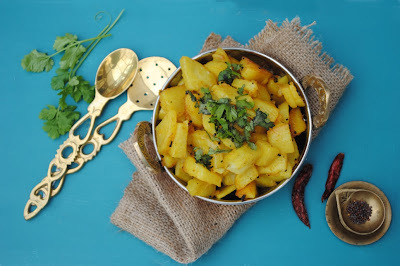 I am already an established blogger and many of my blogger friends will have visited me at simply.food where I blog about my vegetarian recipes. I craved to start a new home where I could share posts about many of my favourite topics such as arts and crafts, my travels, learning about food photography and sharing posts about my obsession for collecting props for my food blog. 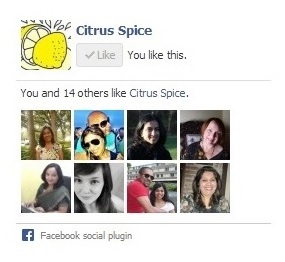 You may think why the name Citrus Spice and all things nice? 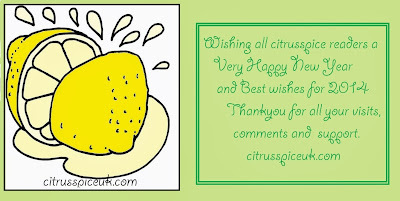 I thought the name Citrus Spice was apt for the blog, “Citrus” because it reminds me of pungent freshness which I want to bring to my readers. “Spice” because being Indian, one can never forget spice which is foremost in any recipe and the cliché “and all things nice” well that is perfect to describe my ever increasing obsession of collecting crockery, plates, bowls, cutlery, napkins and cards and boards I have acquired over the last 4 years. I am planning to share some posts on my travels, arts and crafts ( I always loved Blue Peter and Art Attack), my antics at amateur food photography using my new DSLR and the stories behind my ever increasing prop collection. Of course being a foodie there will always be some recipe posts too. I would like to welcome all my blogger friends to my new space and I sincerely hope that you will all give Citrus Spice the same love and affection that you have showered on simply.food. Please don't forget to spare a minute or two to follow Citrus Spice by clicking on the widgets in the side bar so that you can receive regular updates of all my new posts.